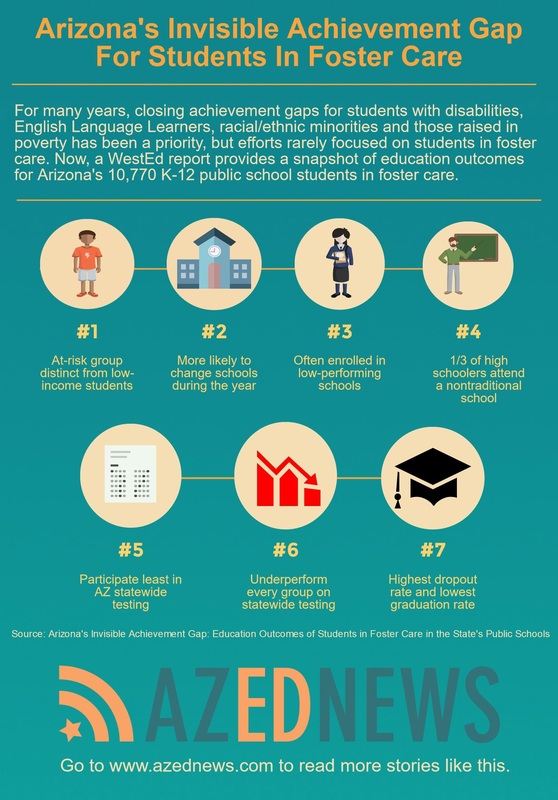 A recent WestEd report showed that Arizona youth in foster care had educational outcomes far worse than low income children and other at-risk subgroups. “Prior to this year, we never had data that looked at the actual outcomes for foster children around the state,” but this WestEd report “shows how philanthropy, the nonprofit community, our education partners and state government can come together to not only identify what needs to be done, but to put real viable solutions in place,” said Vince Yanez, executive director for education and public policy at Arizona Community Foundation. The report was written by Vanessa X. Barrat, BethAnn Berliner and Natalie J. Felida, and released Dec. 11, 2015. But until recently, little was known about achievement or educational outcomes for students in foster care because there was no available data, Barrat said. To remedy this, a data sharing agreement was developed two years ago between the Arizona Department of Education and the Department of Child Safety that linked information in both their databases on foster children and their academic progress, and this was the basis for the WestEd report created with support from the Arizona Community Foundation. 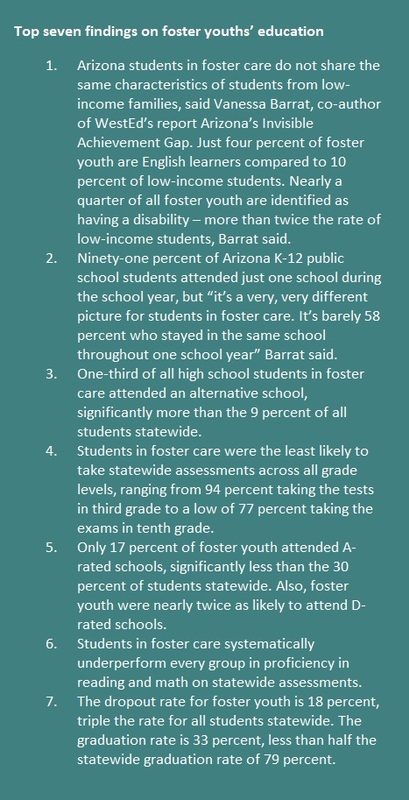 “Arizona is actually only the second state that comes with data (about foster children’s educational outcomes) right now,” Barrat said. 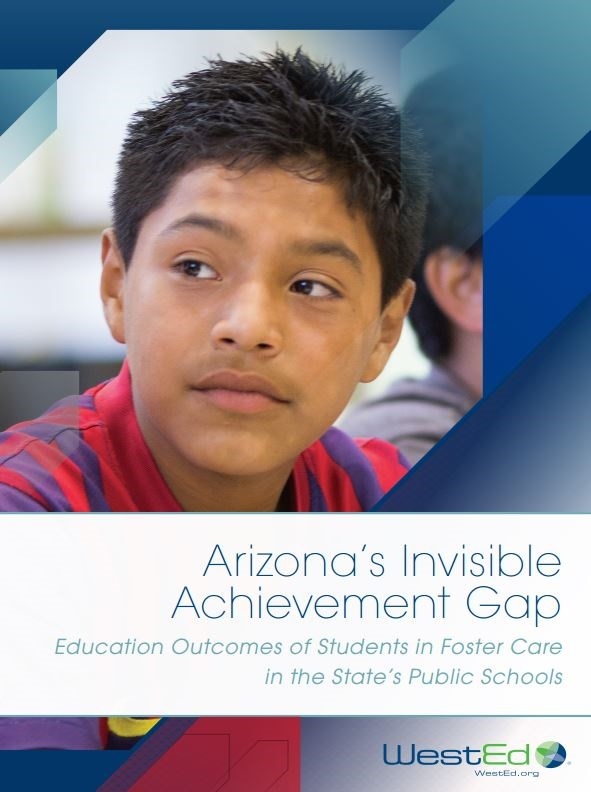 Students in foster care are “twice as likely to be eligible for special education services,” less likely to be English learners four times as likely to change schools during the school year, and “they have the highest dropout rate and the lowest graduation rate in Arizona,” Barrat said. “They have definitely poor academic achievement and education outcomes. They have the lowest participation rate in the state assessment program. 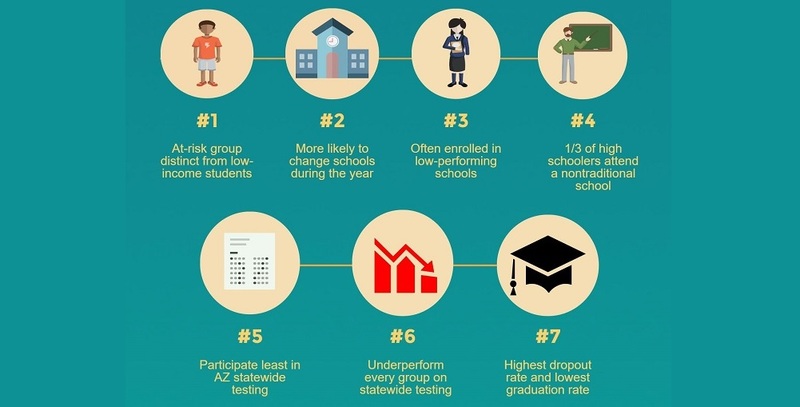 But looking at the results of those who sat through the test, there was a systematic gap between students in foster care and comparable students in the state,” Barrat said. Now, Arizona is using that information to improve educational outcomes for children in foster care, said Pete Hershberger, director of FosterEd: Arizona, the Pima County pilot project which is an initiative of the National Center for Youth Law. In the next two to four years, the data on foster children’s educational outcomes will be examined on a national level, Hershberger said. 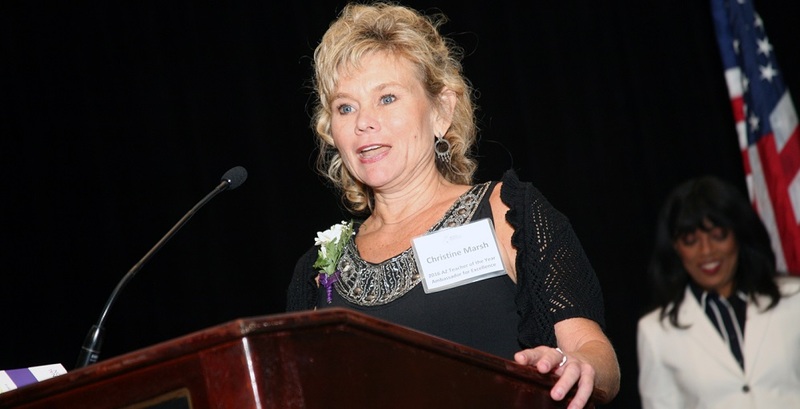 Children in foster care are taken from their families and placed in state custody because they have been abused or neglected, and as wards become the Arizona’s collective responsibility, said Michelle Traiman, director of FosterEd at the National Center for Youth Law. Young adults who transitioned out of foster care contributed to the WestEd study by describing their school experiences to BethAnn Berliner. “These poor outcomes do not reflect the reality that we know can and should exist for these resilient and amazing young people, most of whom who have overcome sometimes unthinkable obstacles during their young lives,” Traiman said. Low expectations for foster youth and the degree to which their potential remains largely unrecognized and unsupported by most of the adults in their lives are also sources of concern, Traiman said. Research has shown that twice as many foster children repeat a grade, 67 percent of foster children have been suspended from school, 17 percent have been expelled, and only 1.8 percent of complete a bachelor’s degree by age 25, Traiman said. When foster youth become adults, 25 percent spend some time homeless, 25 percent are incarcerated at one point, 33 percent receive public assistance at some point and their unemployment rate exceeds 50 percent, Hershberger said. “This is a tragedy in human terms and also a huge problem in financial terms as these are all costs to the State of Arizona,” Hershberger said. Yet, there is evidence “foster youth can and do excel in school and life when they have the benefit of participating in programs like FosterEd,” Traiman said. “We believe that Arizona is on a pathway realize a future where far more foster youth are on a pathway to graduation, higher education and realizing their vast potential,” Traiman said.